Scientists have discovered that similar to the energy from the sun, fresh Spirulina is a powerhouse that stores and converts enormous quantities of solar power into precious nutrients. 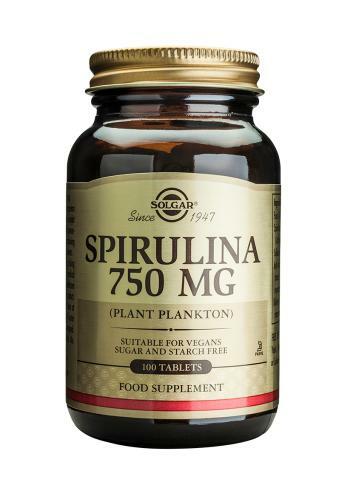 As a food supplement for adults, four (4) tablets of Solgar Hawaiian Spirulina daily, preferably at mealtime, or as directed by a healthcare practitioner. Tableted with these natural ingredients: mannitol, cellulose gum, citric acid, silicon dioxide, magnesium stearate. 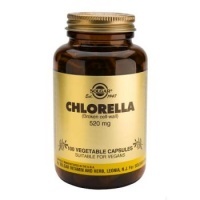 Solgar Chlorella contains high quality Chlorella which is a green, single celled micro-algae that has been at the base of the planetary food chain for over 2.5 billion years.